Not everyone gathers at the same social media watering hole, and the choice of watering hole is going to depend on how the person consumes the data which streams into their lives in a constant unending flow. You want to have a bit more choice and be able to roam freely around the different gathering places and target the herds there, so your own dissemination tools will likewise have to be a little more varied. Twitter, as an SMS analogue, has a lot of parallels in the way it organizes data with how people who spend a lot of time texting are used to viewing their information. Facebook might be considered a slightly more traditional magazine format with the three columns, picture, and by-line on the posts. Myspace, despite trying to be different, by opting for a horizontally integrated feed moves left to right, and so falls into patterns of reading that closely mimics how we read a book. The point is you can play to the strengths of these different formats and target your messaging accordingly to best take advantage of the way different groups of customers are likely to see your companies information. Want Some Pointers On Social Media? Contact Us! Your website, if you are updating it regularly with new original content, which is the ideal scene; has tools which allow you to crunch down whatever data you have and spew it out in a number of different ways. One thing is certain – there is a degree of fragmentation and such a wealth of different ways to view the web, that it might, at first glance seem a little daunting. But, if you take your website as the base of operations, and take it as a stable datum that from there you can talk to all of these different networks you can’t go wrong. We can provide you with a website that takes whatever data you plug in one end and translates it for all these other services, meaning that you reach the optimal number of people with every post. 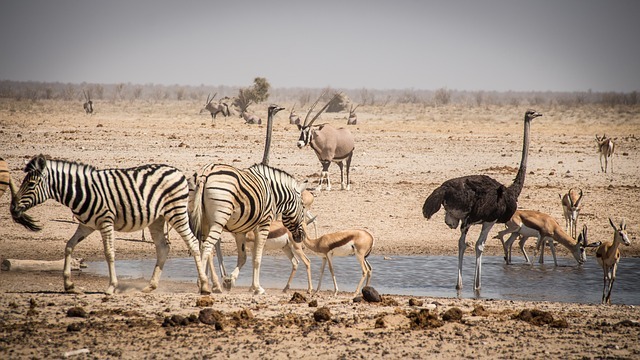 No matter the watering hole of choice – you will have the drop on your clientele.